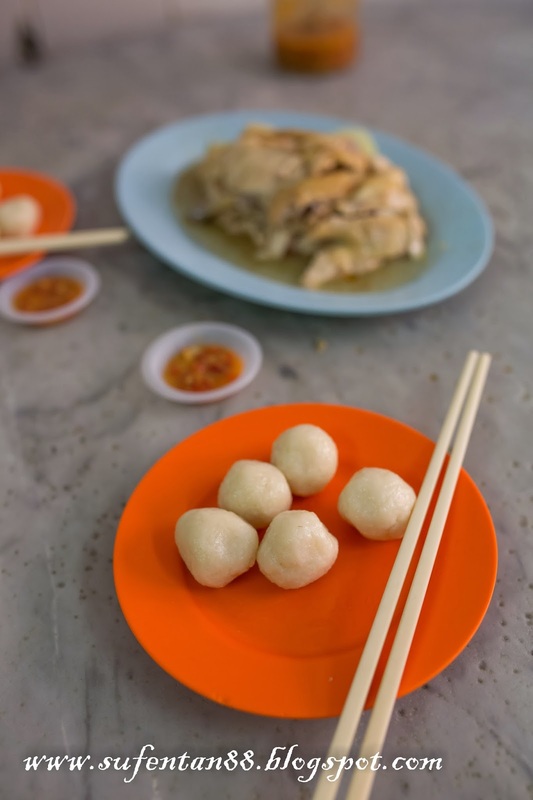 If you visited Malacca before you know that one of the famous food is the chicken rice ball. Due to the demand, there are a lot of outlets now selling chicken rice ball around Jonker street. So which outlet should I visit to get the best out of the best? It really depends on personally preference. Last time I used to have breakfast at Hoe Kee Chicken Rice Restaurant, but when I went recently it closed in the morning. So, I decided to have a try on the recently famous chicken rice in town which is the Chung Wah Chicken Rice. 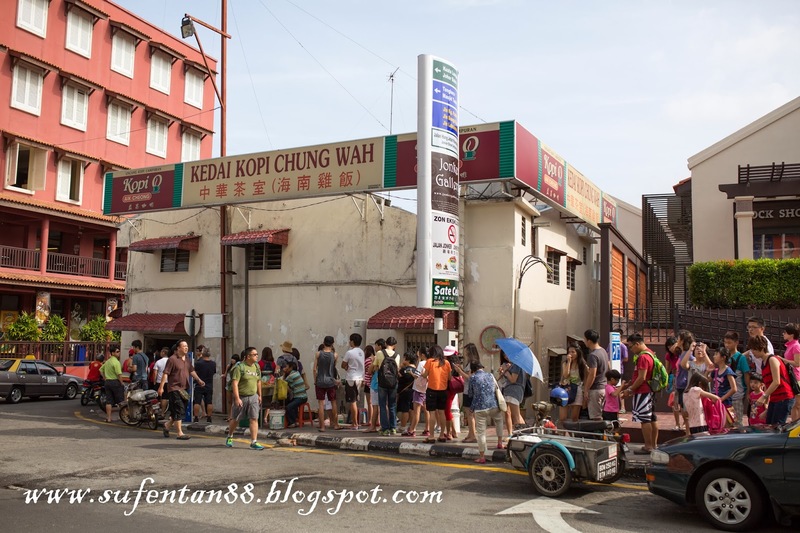 It is located at the end of the Jonker street, near to the Red House Malacca. I went around 9.15 am, look at the crowd! Everyone was queueing outside the coffee shop. The line is not short but it is fast. It took me around 30 mins to get a seat. The shop owner has narrowed the entrance to control the crowd from rushing into the shop. Everyone is require to queue for their turn, even you want to order take away. Once you are assigned a seat, just wait for your food to be served. Dishes will be served according to the number of pax. You do not have a menu to choose the food you want except for drinks. You are not allow to add any additional chicken except for rice ball. Basically, you don't have a say if you choose to dine here. There will be 5 chicken rice ball for each person. Although the rice ball look small, but it is quite filing when you eat together with the chicken. 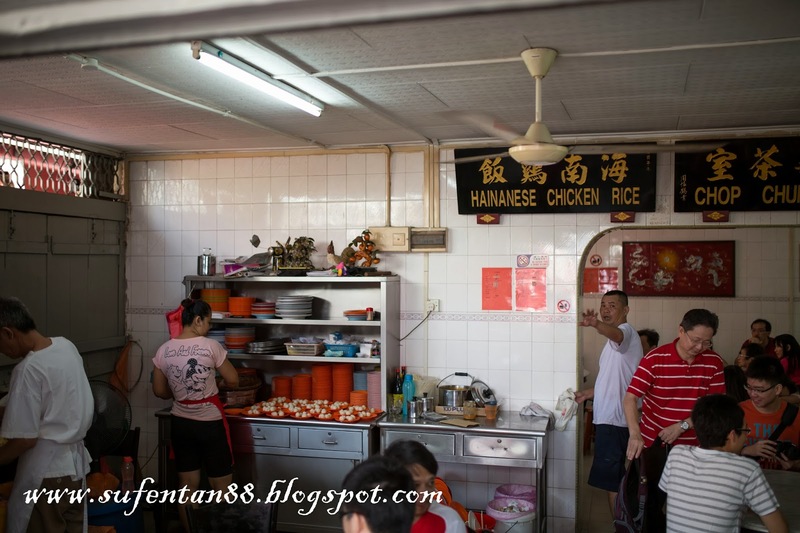 The rice is not as fragrant as authentic Hainan chicken rice, it feel like ordinary rice except it is sticky and oily. The chicken will be served according to number of pax as well. For example: half chicken for 2 people and whole chicken for 4 people. It looks a lot at first for 2 people, however when you started to eat, you will find that they are actually using small kampung chicken to cook. The portion is just nice for two people with 5 rice balls each. Taste wise of the chicken is not bad, very strong sesame oil. 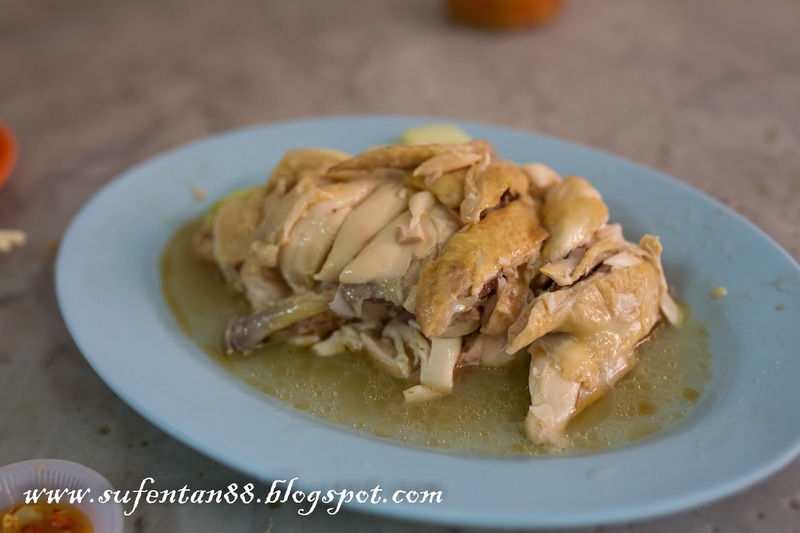 All chicken is pre-prepared, they just chop and add soy sauce and sesame oil on top of the chicken. However what I do not like about the chicken is the presentation. The skill of chopping the chicken is bad, from what I understand there is a specific skill to chop the chicken so you won't have bone chips attached to the meat. Just be careful when eat the chicken, as you might accidentally get cut by the bones. 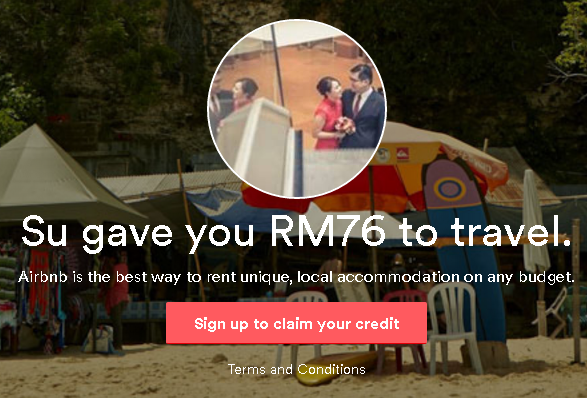 Overall the taste is fine and the service is fast, we paid around RM 26 (incl. drinks) for 2 people. The drawbacks are long queue and no say on the food choice.